In the Old Testament, wisdom was equated to having skill and when reading these wisdom books it is important to know they were more practical than theological as they spoke more to ordinary life instances such as family, relationships, money, and purity. Essentially, they laid the foundation regarding how to live one’s life in a way that was pleasing to God. While each book has unique features, when you combine them with their counterparts, it becomes clear why they were all added to the canon of scripture. 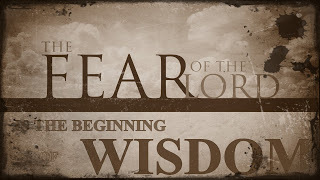 Proverb’s ethos is, “The fear of the LORD is the beginning of knowledge, but fools despise wisdom and discipline” and “”The fear of the LORD is the beginning of wisdom, and knowledge of the Holy One is understanding.” Essentially, the starting point of wisdom is the fear of God. While the book displays practical advice, it is rooted out of this recurring theme of the fear of the Lord. The writers of Proverbs were convinced God had implanted His wisdom in creation and in the way the world works. In the same way physical laws exist, we also see spiritual laws and when either was violated, disaster ensued. Proverbs 8 portrays a woman who was present at the right hand of God during creation. This passage says wisdom is the master craftsman who assisted God during creation furthering the relationship between wisdom and creation. The woman is a metaphor for God’s own personification of divine wisdom. Proverbs are not unconditional promises so one must be careful when interpreting them because there are always exceptions to the rules. Wisdom teaches us the way life normally works and Proverbs provides general rules such as, “The fear of the LORD adds length to life, but the years of the wicked are cut short” and “Misfortune pursues the sinner, but prosperity is the reward of the righteous.” These are examples of how life should work, but everyday we see bad things happen to good people while we see the wicked prosper. Proverbs on its own is somewhat problematic because some Proverbs go against human experience while others even seem to contradict themselves. Proverbs instructs us in our quest for wisdom to, “Look for it as for silver and search for it as for hidden treasure, then you will understand the fear of the LORD and find the knowledge of God.” God is known through obedience to His revealed will and strict adherence to His word. Often times, wisdom comes from correction, discipline, and the lessons we learn when we make mistakes. Sometimes the experiences of life are the best teachers as we learn from life’s experience and those who choose to forget the past are condemned to repeat it. After reading Proverbs, Job and Ecclesiastes come along with a balanced perspective as they focus more on expectations and why they exist in life. In Job, the people of the day believed wisdom led to blessings, righteousness, prosperity, and long life while folly led to wickedness, cursing, and ultimately death. While Job and Ecclesiastes back up these principles, they also show there are exceptions to the rules. When looking specifically at Job we see his so-called friends accusing him of doing something wrong because they believed in the practice of sowing and reaping and God blessing the righteous and punishing the wicked. Job’s friend Eliphaz tells him, “Is not your wickedness great? Are not your sins endless?” Eliphaz believed Job was guilty of iniquity and wickedness and that was the reason God was treating Job so cruelly. Their theology and tenets allowed no other reason to account for what was happening to Job. It is here that we begin to see Proverbs through a more balanced lens as Job agrees with his friends that God rewards the righteous and punishes the wicked, but Job has begun to question their theology saying, “Why do the wicked live on, growing old and increasing in power?” The penalty of sin was death so the question Job raised was why were wicked people prospering at the expense of others. It only seems possible that they have only delayed their punishment for a later date. Job then seeks an audience with God protesting his innocence so he can be vindicated. He has completely denied the theology of retribution presented by his friends and while he does not claim to be perfect he does not believe he deserves his affliction. According to John Hartley, “Their experience proves that “there is such a thing as blessedness without blessing, divine favor without God, or salvation without a savior!” It is through God’s response where we are presented with the resolution to the book. Even though God does not answer Job’s question as to why he suffered, God instead speaks of His sovereignty in creation, His preservation and care over it, and then tells Job that is what he should be focusing on. God is essentially saying His sovereignty supersedes all wisdom and while God blesses the righteous and punishes the wicked His sovereignty is the ultimate causation of events. Ecclesiastes is a very messy book by itself, but when added to the other wisdom books it provides a compelling discourse on the theology of life, which is all about vanity. The text is very pessimistic and negative, but honest as the author searches for answers and truth by using paradoxes. There are times where extreme statements and paralleled with even more extreme statements with the truth to be found somewhere in the middle. Ecclesiastes is very similar to the book of Job in relation to how it compliments the book of Proverbs. Proverbs teaches us the basic perspectives of wisdom and how the world works while Job and Ecclesiastes focus more on the exceptions to the rules. Ecclesiastes illuminates the reason there are exceptions to the rules is because we live in a fallen world by asking the question if God blesses the righteous and punishes the wicked then why does life not always work that way? The revelation found when combining all these books is that the world does not work the way God designed it to because creation has been subjected to the curse as a result of the fall when sin entered the world. The more you read Ecclesiastes, the more you become aware that life is not fair and bad things continually happen to good people and vice-versa. Human wisdom is not meant to figure out everything because there are limitations to our understanding. Life is fleeting and futile and we all die but this book’s intent is not to depress its readers; it is to give a realistic understanding of life. The writer of Ecclesiastes understands even the best things in life have a bad side and he contemplates how wisdom should solve problems and the mysteries of life, but for him the increase of his wisdom has only led to more problems and his increase in knowledge has only led to more sorrow. He concludes stating while he does not know everything; he does know the most important thing: why we need God in the first place. The highest goal of all is to fear the Lord and to keep His commandments. Ultimately, there are mysteries in life we will never fully understand, but we can rest assured as long as we fear God, honor Him in word and deed, and keep His commandments, there is nothing in this world that is more important. Song of Solomon must not be left out of these wisdom books because it too contributes to their overall message. While God is never even mentioned in the book, His marriage metaphor with us is implied by His covenant relationship with His children. When you examine the intimacy God planned in our marriages, we are presented with the relationship He wants us to have with Him. The sexual overtone in this book is undeniable, but when you read and understand this book in its proper context we are presented with a clear picture of the relationship God wanted to have with His creation before the fall in the Garden of Eden. In light of that, we are now presented with El Qanna, the God who is not jealous of us, but for us. When something or someone threatens our covenant relationship with God, Esh Oklah: the consuming fire and zeal of God rises up to attack anything which attempts to separate us from His unconditional love. Ultimately, Song of Solomon teaches us how to love God with all our heart; it shows us how much God loves us, and that His love never changes. While we may not always obey His commandments and abide by His word, His love never fails and He desires us to trust Him because of how pure His motives and love are for us. Hartley, John E. The New International Commentary on the Old Testament – The Book of Job. Grand Rapids, MI: Wm. B. Eerdmans Publishing Co., 1976. WORDsearch CROSS e-book, Under: “Aim”. This entry was posted in Blog, Liberty M.Div. Papers and tagged Facebook: jd4noles, Jeff Davis, jeffdavis@hopefromabove.com, the fear of the lord is the beginning of wisdom, Trusting God, Twitter @Jeffdavis777, why do bad things happen to good people, Why is life so cruel?, wisdom literature, www.hopefromabove.com, www.jeffdavisblog.wordpress.com.